Stuart Easton got a perfect start from pole position to claim his fourth Guia Circuit victory in four attempts by winning the Suncity Group Macau Motorcycle Grand Prix. There was a three-year gap between his last win and this one, but no-one at the circuit would have known, based on his dominant performance. 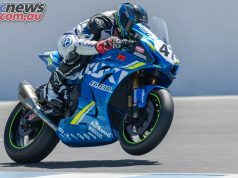 Increasing his advantage by over a second a lap on every lap but the last around the 6.12km Armco lined street Circuito Da Guia, Easton rode the PBM Kawasaki to a margin of victory which had dropped from 17 to 14 seconds as he visibly eased off and cruised the last couple of laps. His relaxed ride was in stark contrast to the huge battle behind him as half a dozen riders scrapped over the last two podium places. Ian Hutchinson, on the second of the Paul Bird machines, launched an early bid for glory at Lisboa on lap one but overcooked it and took to the escape road. 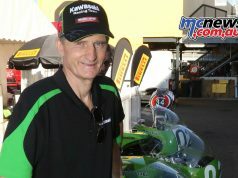 Eight-time winner Michael Rutter started slowly from second on the grid, but soon put the Milwaukee Yamaha back in second place. After brushing the wall at Donna Maria in his pursuit of Easton, he decided second place would have to do – and immediately regretted the decision. He spent the next ten laps fending off first Lee Johnston (Honda) and then Gary Johnson (Honda) and finally Martin Jessopp (BMW). 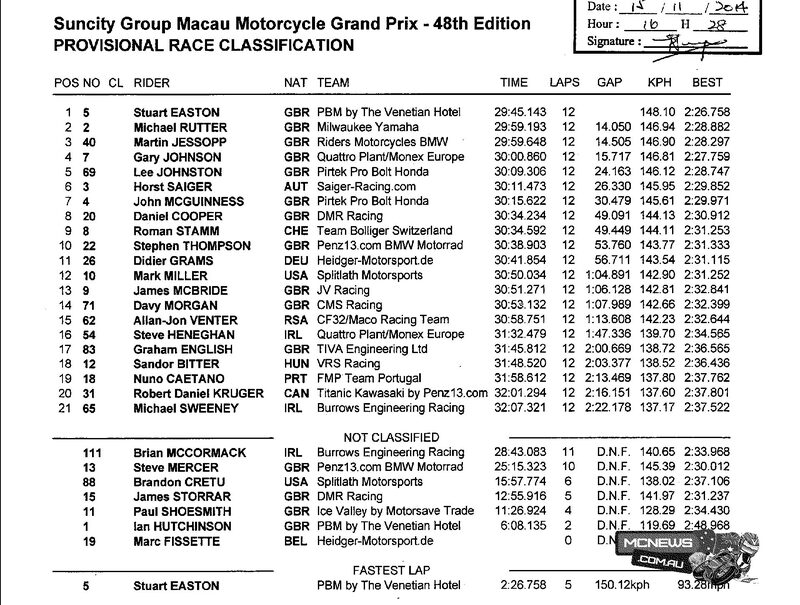 While Rutter really had to earn his second position by defending hard, Jessopp earned third by fighting his way forwards, finishing half a second behind the Yamaha and only a second clear of Gary Johnson. 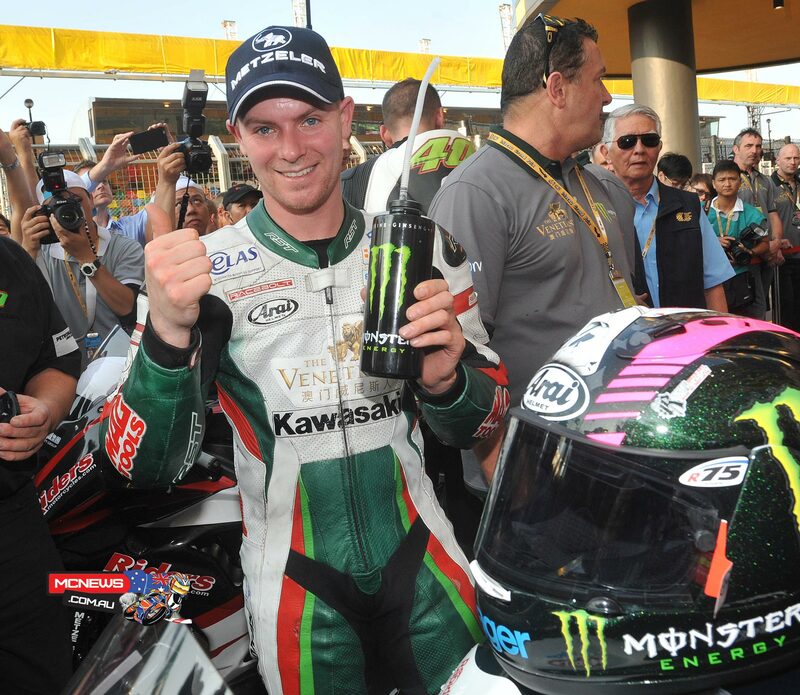 Defending Macau GP Champion and Stuart Easton’s Rapid Solicitors Kawasaki team-mate Ian Hutchinson was hoping to add to the sensational victory he took last year. 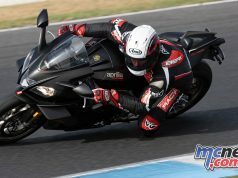 The Yorkshireman started in fourth on the grid and was running with the leading bunch until he overshot the tricky Lisboa corner in the early stages of the race before rejoining well down the order. 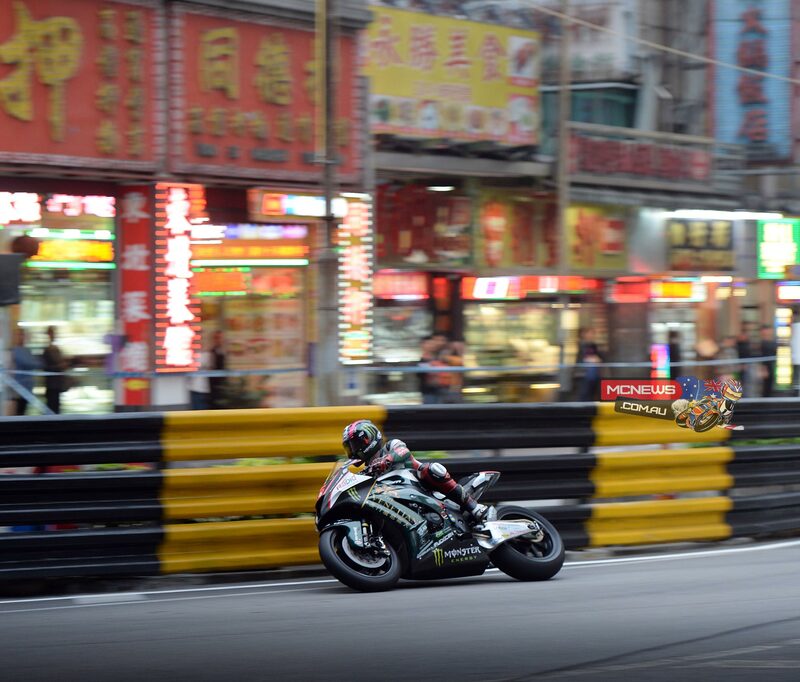 However, it got worse for the eight-time TT winner from Bingley when he slid off at slow speed at the Melco Hairpin and retired. 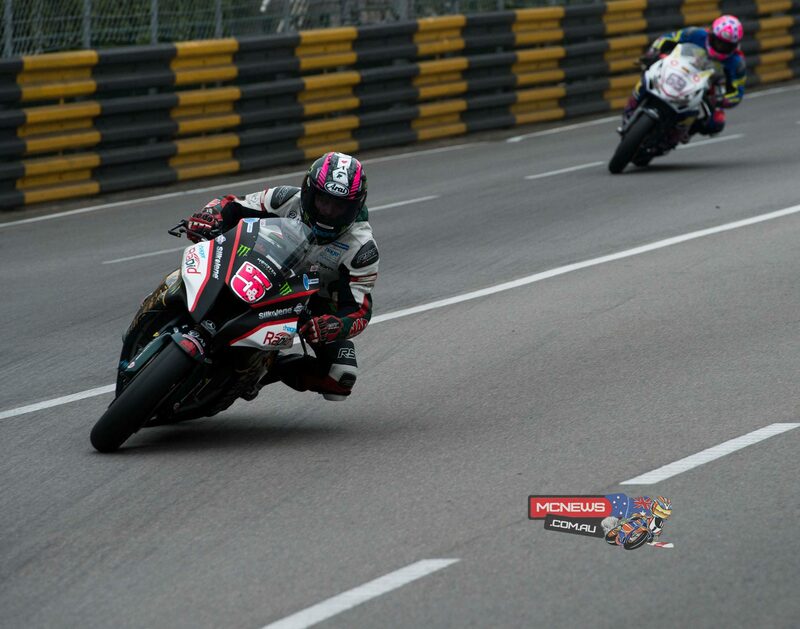 Morecambe’s John McGuinness finished his injury-interrupted 2014 road racing season at the weekend with a satisfying seventh place at the Macau Grand Prix. Riding the Pirtek Pro Bolt Honda, the 21-times TT winner came through from tenth on the grid to claim his 15th top ten finish around the 3.8-mile Armco-lined course. It all meant he would have to start Saturday’s 12-lap race from the fourth row of the grid. Riding the CBR1000RR machine ridden this season in the British Superbike Championship by Peter Hickman, a solid start by John saw him complete the opening lap in ninth place and for the next few laps he was locked in battle with BMW riders Jimmy Storrar and Steve Mercer. 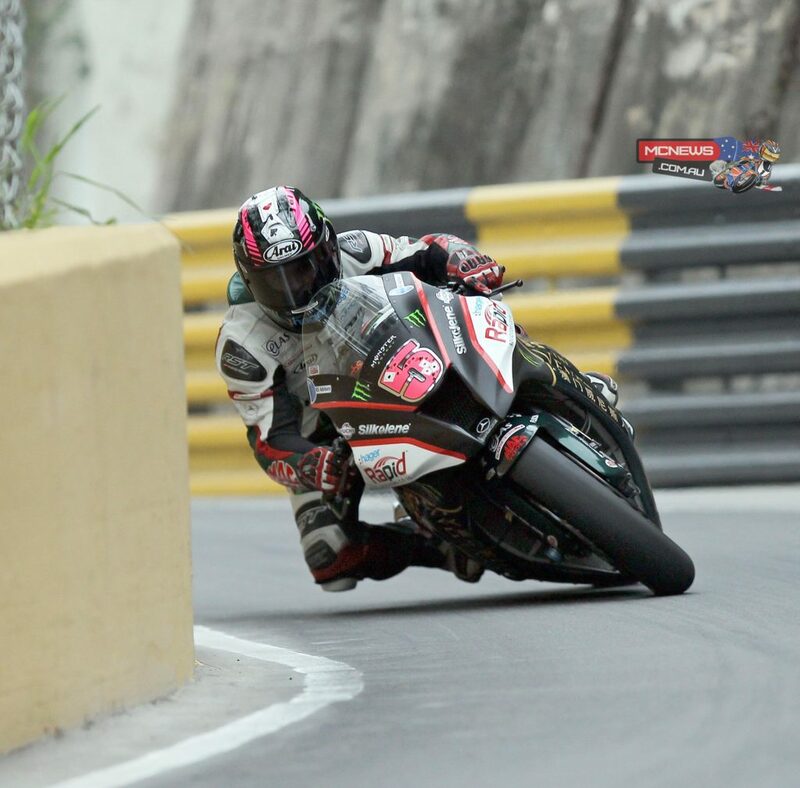 By half race distance, he’d moved up to seventh as he overtook Mercer just as Storrar retired and it was here where he took the chequered flag for yet another strong Macau GP finish. 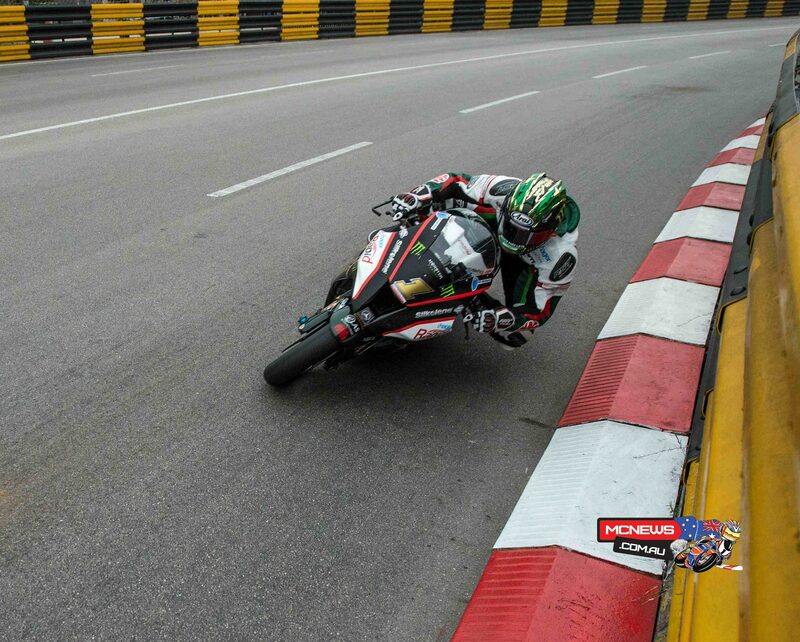 The 2015, 49th Macau Motorcycle Grand Prix, is schedule to take place on 12-15 November 2015. 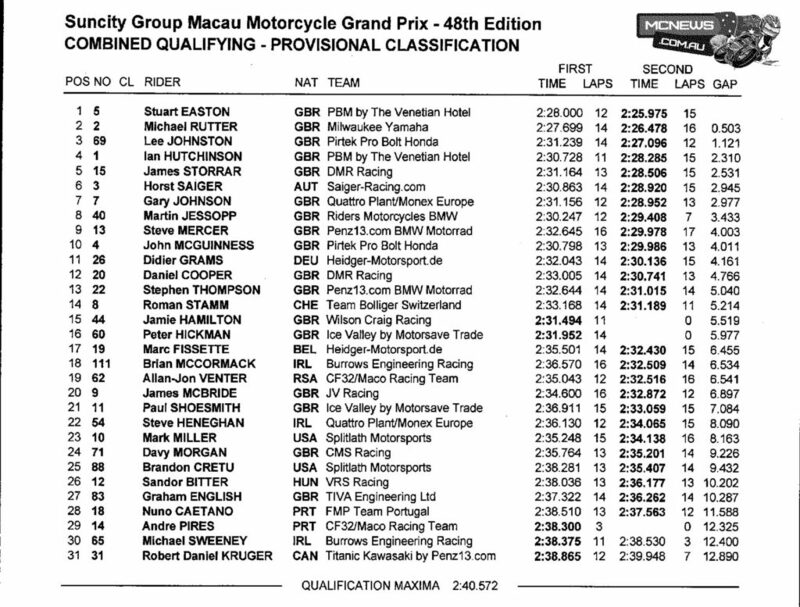 Stuart Easton got a perfect start from pole position to claim his fourth Guia Circuit victory in four attempts by winning the Suncity Group Macau Motorcycle Grand Prix – 48th Edition. Incredibly, there was a three-year gap between his last win and this one, but no-one at the circuit would have known, based on his dominant performance.